This new challenge is sealed with a kiss! Collect Love Letters from around Minutia and earn heart-filled Valentine’s Day rewards, including Gold and Diamonds! If you complete all Love Letter challenges, you’ll win the super cute Cupid Beebert! Oink, oink! It’s the Year of the Pig! Happy Lunar New Year! You can help Dragon Karma collect plush toys throughout Minutia and find out which zodiac sign corresponds with the 12 Fiends! Collect all 12 hidden plushies and win Gold and Keys! You can even add the new Dragon Karma to your Best Fiends family, along with a +50 attack boost! Help put out campfires as you continue your climb up Remote Ridges! Play through 20 new levels added each weekend! 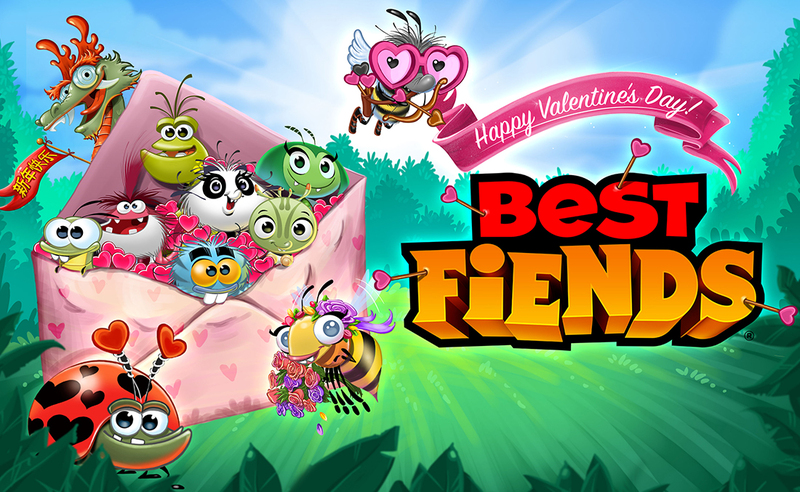 There’s no doubt you’ll fall in love with this game update…so be sure to download Best Fiends or update your app now for FREE! And Happy Valentine’s Day from the Seriously team! We heart you!